If you want a unique experience, travel to Paso Robles for its Paderewski Festival on Nov. 8-11. Paderewski and Paso Robles are linked together by hot springs, wine and music. Today, his vineyard, which he planted in 1922 and was replanted by Bill and Liz Armstrong of Epoch Wines with the assistance of Saxum’s Justin Smith in 2004, is producing some of Paso Roble’s finest wines. We recently visited Paso Robles to taste these wines and will provide reviews in our forthcoming (September/October) report The Wines of Paso Robles. 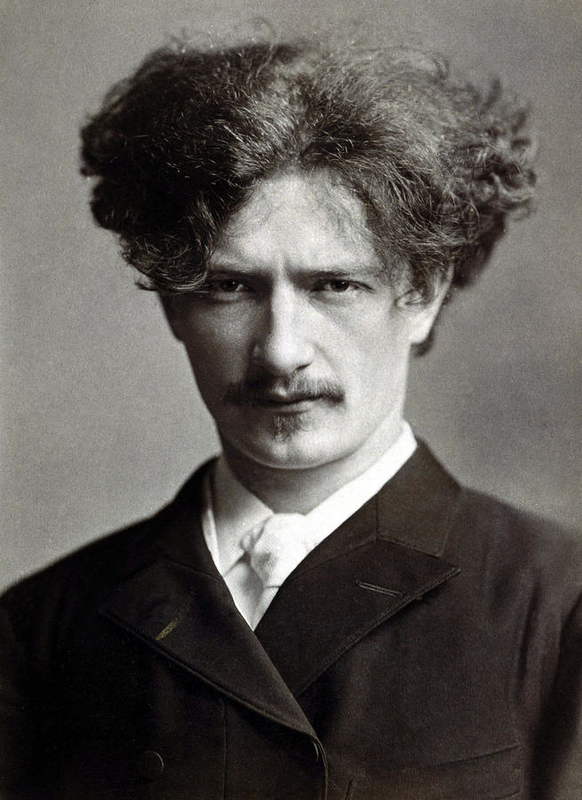 Paderewski was one of those characters who was truly bigger than life. Born in 1860 in what is today the Ukraine, he cut a dashing, debonair figure and as a concert pianist was Elvis Presley like in the public adulation he received and his personal flamboyance (he traveled with several pianos in multiple private rail cars). He not only performed but, also, composed—an opera (Manru), symphonies, and for piano, including what is his most famous piece, the Minuet in G. He received an honorary doctorate from the University of Southern California, made a movie and received a star on Hollywood Boulevard. He was also a great orator and became Prime Minister of newly independent Poland after World War I. He died in New York in 1941 and was buried in Arlington National Cemetery. Rheumatism brought Paderewski to Paso Robles in 1913 in search of the relief offered by its hot springs and mineral baths. He liked the area well enough to purchase the 2800 acre Rancho San Ignacio and planted a vineyard to Zinfandel and Petite Sirah in 1922, producing (at York Mountain Winery) what the Los Angeles Times called one of California’s best ten wines. Paderewski’s original vineyard in the Adelaida Hills region of west Paso Robles is now a 65 acre, organically farmed vineyard of shale and limestone soils. While visiting Paso Robles in August, we had the opportunity to taste several wines from this vineyard. We tasted the Saxum 2010 Paderewski Vineyard with winemaker Justin Smith. It’s a blend that includes the Zinfandel and Petite Sirah varieties that Paderewski himself planted there and cofermented as a field blend by Justin, as Paderewski’s winemaker would have done. We think it’s one of California’s most outstanding field blends. We also tasted the Epoch 2009 Block B Syrah with winemaker Jordan Fiorentini, made from a 6.5 acre block of the 174 clone from the Paderewski Vineyard. It is the best Syrah we tasted in Paso Robles and one of the finest produced in California. We also tasted several other outstanding Epoch wines from the Paderewski Vineyard, including a single varietal Zinfandel and a single varietal Tempranillo. We’ll give our reviews in our forthcoming Paso Robles report. 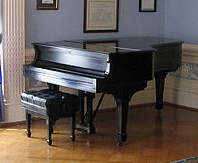 Returning to the music theme, in 2006 the Polish Music Center at USC asked Stephen and Alice Cass, she a pianist of Polish extraction, to re-launch the Paderewski Festival (first started by Virginia Peterson in 1991) at their winery, which is home to two Steinway concert grand pianos. The Festival has become an annual event, with this year’s scheduled for Nov. 8-11 in Paso Robles. Steve is President of the Festival, and the opening event will be held at the Cass Winery. Another Paso Robles winery we visited, Halter Ranch Winery, is hosting the closing event on Nov. 11. We think that Paderewski would be pleased that he’s remembered for his wine as much as his other significant life achievements. This entry was posted in California, Countries and Regions, Wine Articles and tagged Cass Winery, Epoch, Music, Paderewski, Paso Robles. Bookmark the permalink.